November is our social media month! 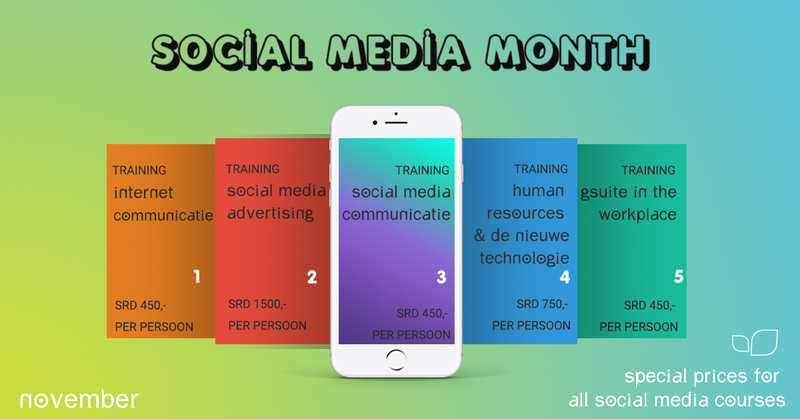 during this month we offer all our social media courses at a special price. Register Now to enjoy these low prices and close off the year with a bang! Prepare for the new year with the knowledge gained from these sessions and see how your results in 2018 improve! Everyone with basic computer skills and anyone interested in the use of social technology in the workplace.